Embedded BI technologies allow AD&D pros to embed the full range of reporting and analysis functions as natural aspects of applications, including data exploration, ad hoc analysis, and authoring. Customer-obsessed enterprises are driven by insights, which raises the stakes for AD&D pros to deliver software that enables quick recognition of opportunities and threats as well as responses. 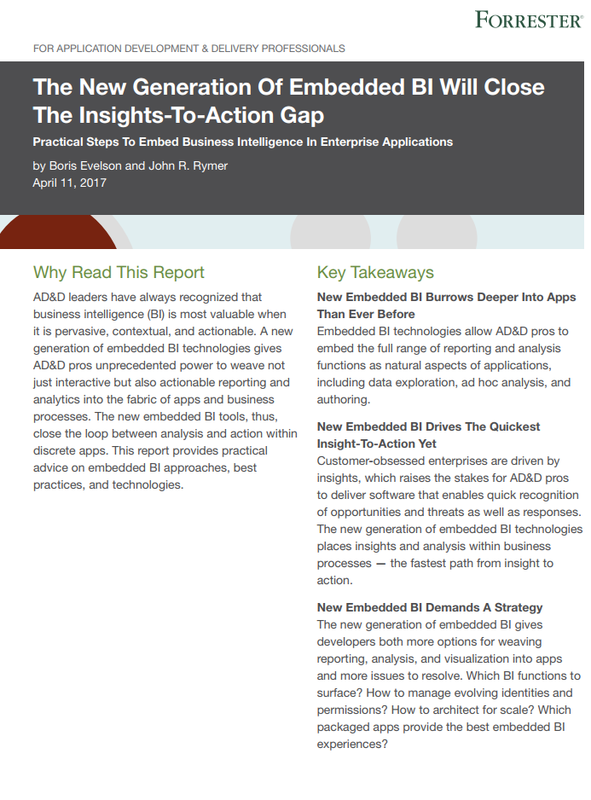 The new generation of embedded BI technologies places insights and analysis within business processes — the fastest path from insight to action.